Problem solver, entrepreneur, and philanthropist Mike Peters shares his story for the first time. Mike Peters will never forget the day his mother-in-law came to visit his family in Florida. She wanted to bathe his young daughter, but the water wouldn’t turn on. Embarrassed, Peters pretended he didn’t know why. The reality was he didn’t have the money to pay the utility bill. “How did I get here?” the 30-year-old wondered. As a teenager, he’d been a rising tech star. He developed and sold his first software at age 13. At 16, he turned down a job offer from Microsoft. By 23, he’d saved $1 million. But his dot-com startup, a messaging platform, burned through that cash along with $6.5 million Peters had raised from investors. In three years, his company failed to make a single sale. In high demand during the dot-com days. Peters grew up in a middle-class family in Hod HaSharon, a small city near Tel Aviv, Israel. His computer obsession started early, and at age 10 he got his first, an Atari 800XL. He taught himself to code and created an accounting spreadsheet tool before Excel existed. He sold it to a neighbor for $500 — a lot of money to a 13-year-old. Peters' first home in Hod HaSharon, a small city near Tel Aviv, Israel. At 14, Peters enrolled in the computer science program at the Open University of Israel. He convinced his parents to let him drop out of high school to complete his studies and work in the field. 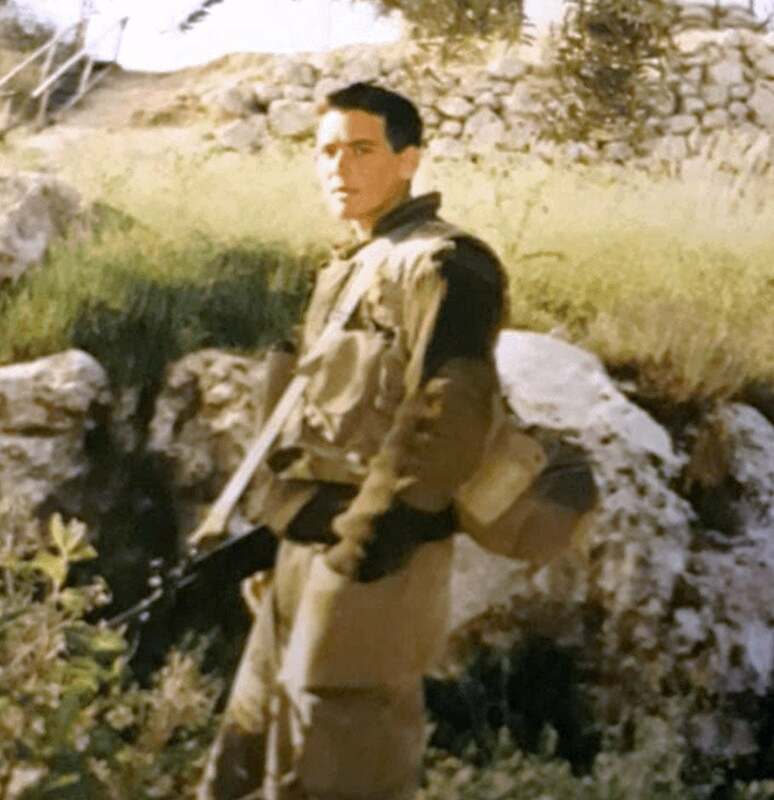 In 1991, he hosted one of Israel’s first bulletin board systems (BBS), an early iteration of today’s websites on which visitors played games and exchanged messages. A Microsoft recruiter discovered the talented teen and offered him a job. The company wanted him to permanently relocate to the United States, but Peters was only 16, and he turned down the offer. Forced by the military to postpone his dream. Peters joined the military a week before he turned 18. Finding love — and losing $6.5 million along the way. Peters fulfilled his commitment to the military at 21, then spent the next two years at a cybersecurity company while selling software on the side. He’d been saving since he started working at 16, and reached $1 million by age 23. Peters decided to launch his own startup, a customer messaging platform. That’s how he met his wife, Orit (pronounced Oh-reet) Tenenbaum. His company’s recruiter recommended her as a quality assurance manager, even though she was a 21-year-old fresh out of training. Peters gave her a shot, and she excelled. When they started dating, they kept their relationship secret, which wasn’t easy — especially when Peters moved to Silicon Valley for the company. It was 1998, the peak of the dot-com era. Peters’ startup had raised $6.5 million from big-name investors. “At the time, the tech industry was all about eyeballs and downloads — and figuring out revenue later,” says Peters. His company was no different. Three years later, the $6.5 million was gone. They’d spent it all building the business without making a single sale. Peters had also spent most of the $1 million he’d saved. 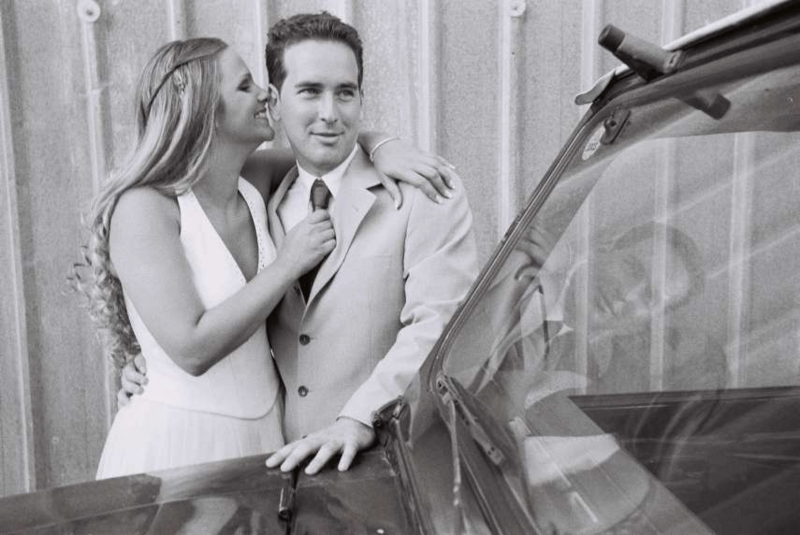 Peters married his wife, Orit, in Israel before returning to the U.S.
After the startup shut down, Peters returned to Israel to marry Orit. The newlyweds decided to start over in the U.S. “My father-in-law was concerned about what would happen if I failed again. I told him I would just keep trying,” says Peters. From broke to really broke. For the next few years Peters worked 15 hours a day, seven days a week. Despite his software development experience, he settled for website development projects because he didn’t want to go back to investors. For the first few years in New York City, Peters worked 15 hours a day, seven days a week. Except he couldn’t keep the lights on. His wife and children wouldn’t return for a year. “I questioned myself so much during that time,” he reflects. “I experienced imposter complex, and started thinking it was just luck that made me successful when I was younger. I spent long nights feeling like a loser who couldn’t support his family. Scaling a business with clients’ money. When Peters began hiring freelancers to help with coding, things slowly started to improve. Four years later, hundreds worked for him. He began building different software, using clients’ money as financing to develop a new business model. His employees wrote all their code in a generic way so they could reuse it to create their own versions of the platforms they built for clients. Peters transitioned to selling that software as a service. “Selling your time has a low ceiling. To double revenues, I had to double the workforce. So instead, we started selling subscriptions.” The bottom line increased significantly. He later pivoted again, this time as an online retailer. “Our clients sold products online, and many of them outsourced the majority of the work to us,” says Peters. “We were making five figures while they made six.” The bottom line exploded again. At this point, Peters had many services under one business. “Every business needs focus. You can’t be everything to everyone. We hit a ceiling trying to do everything under one name.” Peters spun out into eight stand-alone businesses under one umbrella, the Yomali Group. Today, his businesses include an affiliate network, CRM platform, payment processor, business process outsourcing and call center, physical fulfillment automation, big data analytics, software development, and shopping websites — all helping businesses sell more online. The three steps to business success. To exceed $100 million takes leverage, such as using distribution partners and affiliates, monopolizing a small niche, and using others’ time and money like Peters did. Peters has made it his mission to share what he’s learned and help others avoid his mistakes. Their third child was born in 2011. Now that he’s made all the money he’ll ever need, Peters divides his time between family, business, and helping others. “No amount of money beats knowing you impacted others,” he says. In January 2019, Peters was invited to join the board of the XPRIZE Foundation, which is dedicated to solving big world problems. The elite group includes filmmaking legend James Cameron, publishing icon Arianna Huffington, and Google co-founder Larry Page. Peters with his wife, Orit, and their three children. Connect with Mike Peters on LinkedIn or learn more about his company here.